Across the world in space and time, indigenous communities have lived in harmony with their natural surroundings. Their daily sustenance on the resources of the landscape – be it the forests or grasslands, the mountains or the valleys, the lakes or the oceans – are intricately intertwined with their traditional practices, religious beliefs, oral as well as cultural histories. This dependence on their surrounding natural environment has led almost all indigenous cultures to form an intangible bond with Gaia, Mother Earth, which moves beyond a solely materialistic interaction towards a deeper spiritual connection. In this post we catch a glimpse into some examples of the wisdom of indigenous people from the continent of North America. In the boreal forest ecosystems of Canada have lived and thrived hundreds of distinct Aboriginal and Metis communities (also referred to as the First Nations peoples) over many millennia. It is estimated that at least 600 indigenous communities are located in Canada’s forests today, communities whose culture and traditional practices are intimately twined with that of the land, the water and the forest creatures. Even as they engage in activities like hunting, gathering and fishing for themselves and their community, the relationship of the indigenous peoples is based upon their profound spiritual connection to Mother Earth that guides them to practice reverence, humility and reciprocity. One of the interesting events for the people of Cree First Nation on James Bay is the annual spring goose hunt that corresponds to the migration of these birds. This is an important time for the community whereby the excitement of the hunt also corresponds to the passing down of cultural values. For the Tla-o-qui-aht peoples, who are the original inhabitants of Clayoquot Sound, usage of the forest resources were always based on certain laws and teachings, and this included the protection of intact rainforest and waters. In their system of tribal governance, the Hereditary Chiefs (known collectively as Ha`wiih) would be responsible for their Ha`huulthii (traditional territory), the people of their community and all matters pertaining to the forests, rivers, food, medicines, songs, dances, and ceremonies. In recent times, due to the threats of logging and modern developmental activities, the Tla-o-qui-aht have incorporated a watershed-by-watershed management system with the intent of conserving the resources within these areas for future generations. They have categorized the areas broadly as qwa siin hap (which loosely translates to “leave as it is”) and uuya thluk nish (which means “we take care of”). The latter category of land is meant to integrate human activities into the ecosystem while also taking care of its well-being. In fact, the Tla-o-qui-aht declared Meares Island (Wah-nah-jus – Hilth-hoo-is) as a Tribal Park in 1984 – thus becoming the first indigenous community in Canada that actively took control over management of their tribal lands. Till date they have declared three additional Tribal Parks as a means to protect their forests, waters, and resources. The Karuk people live in the north-western corner of the state of California. ‘Karuk‘ means ‘upriver people’ referring to their proximity to the Klamath river, one of the important river ecosystems of North America. Like many other indigenous cultures around the world, the Karuks have used fire as an essential tool for land- and forest-management in order to convert the organic matter into fertilizers, cleanse the soil of pathogens, and increase the species richness of an area. Therefore, an essential link has been forged between the element of fire, the health of the land and the well-being of the Karuk community. By way of prescribed burning i.e. using fire at the right time for the right reasons, the Karuks could grow traditional foods like huckleberries, acorns, salmon and elk, medicinal herbs like wormwood, willow, bear grass, and encourage hazel trees to produce straight shoots needed for basket-making. In riverine ecosystems, fire reduced invasive weeds and brush along the sides of the stream and improved water quality, thus boosting salmon population. Before it was deemed an illegal practice in 1911 by the federal government, the traditional fire-management system of the Karuks protected the communities scattered in the hills along the Klamath river from wildfires. Now decades later there is a growing consensus among forest ecologists to incorporate the fire management practices of the Karuks into the modern framework so as to aid in the prevention of California’s notorious wildfires. 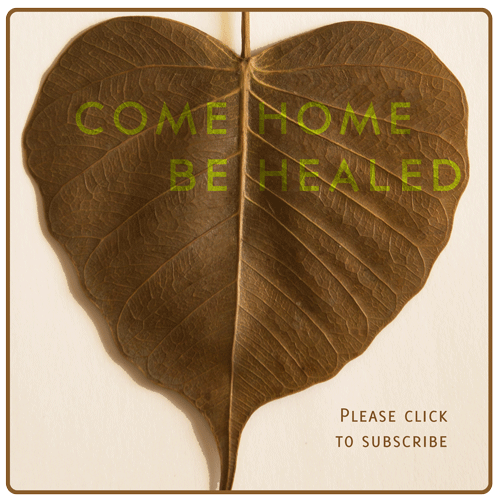 END Note: The healing of our society is intricately linked to the healing of our land. It’s because the environment we live in is not separate from us. What we learn from the wisdom of the land, helps us create a deeper understanding of our own interlinked lives. This article was contributed by Romila Sil, a wandering soul who is on a journey to study the role of forests in the fostering of traditional and cultural ties in communities. Please add your insights in the comments section to grow our collective knowledge.